Technology plays a significant role in the education sector today. The IT revolution that began in the latter half of the 20th century brought about great transformation to the education and learning process. The spread of the internet has made information available everywhere, anytime. This has changed the emphasis of education from knowledge transfer to knowledge creation and has shifted focus from group to individual education. Digitization can contribute significantly to the future of the education sector in the same way the internet has contributed in the past. Automation is becoming an important and meaningful part of our daily lives. Automation is defined as the process of completing repeating and mundane tasks using technology, resulting in faster and more accurate outcomes. The work is carried out using minimal human intervention, which means that it is a combined effort between machines and humans. Automation in education helps stakeholders to minimize manual effort, creating more efficiency. How does Automation impact the education sector? Any industry sector has multiple layers and related functions. A traditional education sector framework consists of a mix of school/college administrators, teachers/ trainers, students, parents and other school staff. These stakeholders combined are responsible for both academic and non-academic administrative activities of an institution. Administrative tasks in the education sector are mostly paper-based and are repetitive and time-consuming. Automating some of these tasks can improve working efficiency and motivation levels of employees. Automation can be used to assist all functions of the institution such as administrators, trainers, students and parents. Administrative level officials are responsible for all non-academic activities, such as student registration, shortlisting of candidates, enrolment process and finally the certificate generation process. Automation can drastically bring down workload for the administrative staff by minimalizing the various manual processes mentioned earlier. For example, once the students have applied for a stream of study, a staff member needs to manually check and process the application forms and shortlist the candidate. If pre-defined rules can be configured, such as checking eligibility criteria, shortlisting of candidates becomes a faster task, freeing up resources as well as the time spent on the task. Similarly, generating pass certificates for candidates is another time-consuming task that is labour-intensive. Automation can deliver efficient results to quicken the pace for all the above. In this case, once the logic and rules are defined for selecting eligible candidates and calculating the score, numerous certificates can be generated within a short span of time with little or no human intervention, increasing productivity and efficiency levels for the staff. Let us take the example of attendance management. Physically capturing student attendance, notifying parents on the absence of their wards, calculating attendance percentage of individual students, and segregating students based on performance are tedious tasks that take up a lot of time and effort. Today, most educational institutions rely on technology to fulfil their attendance requirements. Students can be provided with active RFID cards to capture attendance automatically instead of the traditional attendance marking system. This automates the attendance process once they enter into the institution premises. Alerts can be configured such that teachers and parents are intimated automatically if their wards are absent/late on several days. Rules can be assigned for generation of routine reports. This process mechanizes the attendance management process, gradually allowing teachers and other academic staff to spend less time on routine tasks and more time with students. Parents are another beneficiary of automation in the education sector. Enhancement of security for children is an example. Parents can be relaxed about child security if the institution uses the latest technology to boost student safety. This includes SMS alerts on absence of child/leave taken and so on. Parents can also be mailed information about the children’s performance in the institution. Students are the key beneficiaries of the disruptive tendencies in the new education system. Students can take advantage of technology through the learning methods opted for. Learning methods have changed a lot since the emergence of technology. E-Learning has transformed the way in which learning used to be imparted. Unlike the traditional balckboard/whiteboard way of face-to-face teaching, e-learning makes learning possible through geographical distances. The main challenge in e-learning is that it is difficult for the trainer to identify whether the session is interesting or boring to the individual student. To identify actual response of the students while giving online lectures, cognitive learning technologies can be used. Cognitive psychology refers to the study of the mind and how humans think. Cognitive integrated applications capture expressions and emotions from the student’s face. Applications run numerous patterns built into it and provide instructions to the trainer. It can give an insight about which learning method works best for the targeted students. Thus, online learning sessions become more personalized, thereby increasing the effectiveness of learning for the student. Experion recently completed an EdTech project for a global business based out of the UAE. They are the largest standalone training centre of its type in the Middle East. They largely train students in technical and safety courses. The client wanted to replace their legacy system to effectively streamline business processes across departments. Experion’s digital transformation business unit developed an ASP.Net web solution to automate their business process. The application helped automate most of their manual processes. The key features that were included int the new system include student registration, fee management, attendance management, grading process and certificate generation. Sagar is Senior Lead, Business Solutions, Experion Technologies. 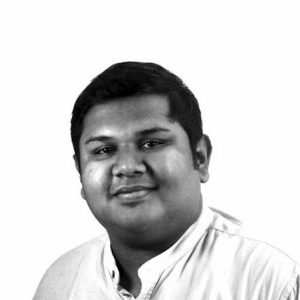 Sagar is passionate about technology and advancements in the sector.